The Los Angeles Lakers four game road winning streak come to an end in the mile high city. 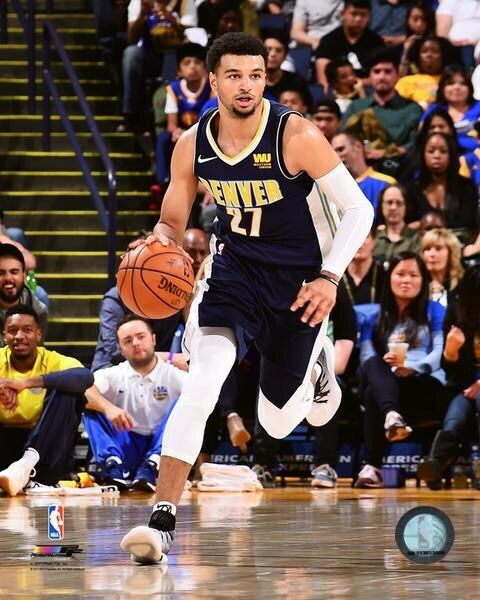 They were defeated by the Denver Nuggets 125-116. The Nuggets currently hold the eight seed in the Western Conference. The Nuggets had six players score in double figures with three of them scoring 20 plus. Jamal Murray led with 22 points (10-11 FT). They got 21 a peice from Paul Millsap and Nikola Jokic. The Lakers also had six in double figures. They were led by Brook Lopez who led all scorers with 29 points and added 5 rebounds, after no rebounds the previous game. Julius Randle had 18 points. Lonzo Ball contributed 15 points, 8 rebounds and assist. The Lakers next welcome LeBron James and the Cavaliers to the Staples Center on Sunday. The Lakers should want to showcase their talent, if they want Lebron to truly come to Los Angeles when he becomes a free agent this summer. It's going to take more than just palm trees and beaches to get the best in the world in purple & gold. Good Luck. Newer PostSpurs & Thunder Fighting for Playoffs?